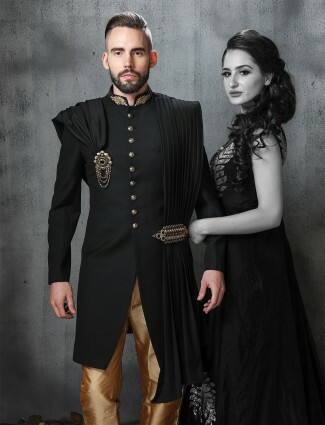 Irresistible black fashion has remained one staple colour in Indian wear for events and celebrations, it’s popularity and elegance has made it inevitable to wear at weddings too. 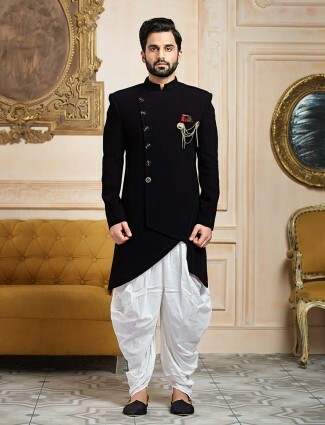 Black Sherwani wedding wear in sober to modern detailed designs is what any groom would want to wear as a trend. 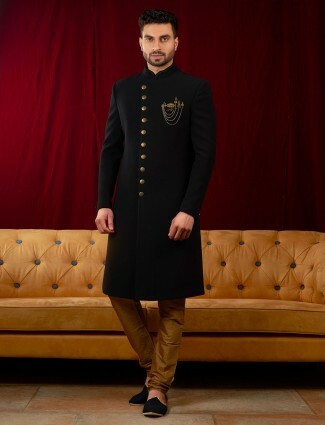 G3+ Fashion has gathered an array of black sherwani designs which glam up occasions from parties, festivals and weddings. 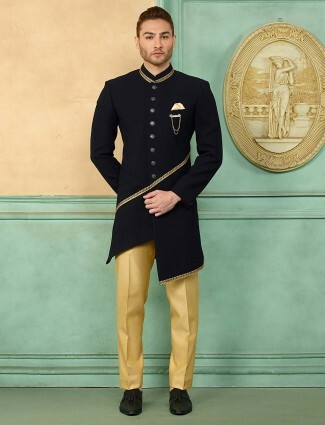 Black and Gold sherwanis in brocade, or silk with beautiful golden embroidery on cuffs and collars is what makes the attire look classic and stylish. 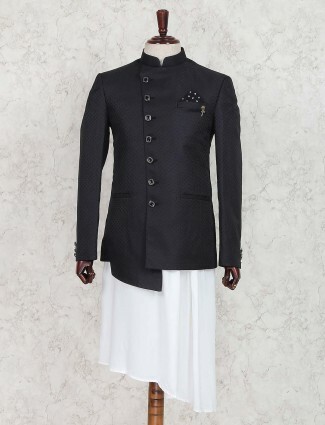 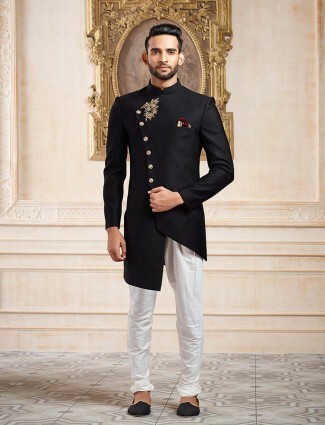 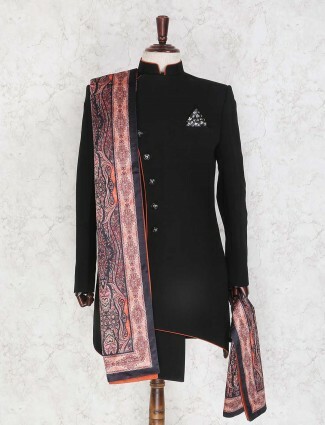 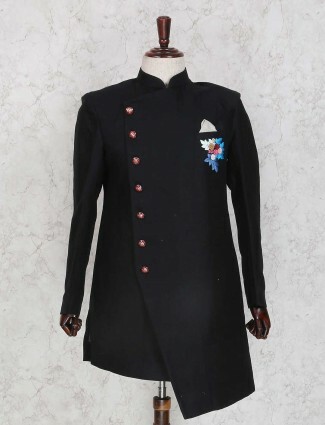 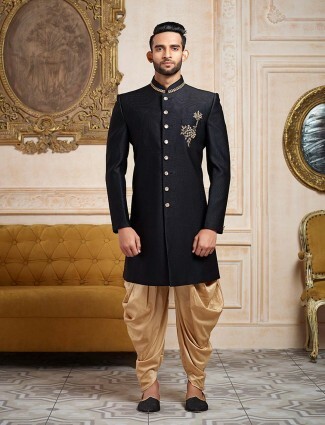 We pick up the best black sherwani in black colour to dress all you men up to look your most charming. 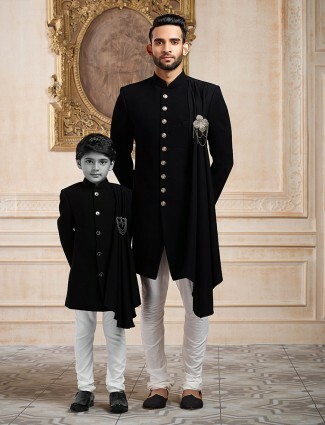 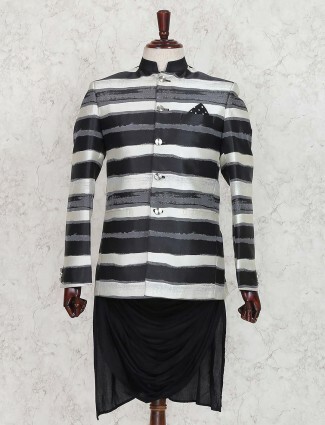 Sherwanis & Indowestern in Black are an inspired look from Designers like Sabyasachi and Raghavendra Rathore who works with new modern silhouettes while the famous Sabyasachi designs are filled with allured embellishments for the Royal Men. 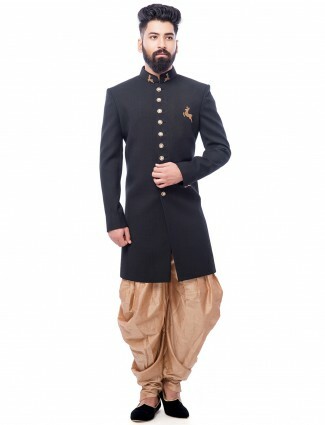 Shop online black indowestern in plain silks to brocades and jutes with bottoms as churidars, Patiala, dhoti, breaches and pants. 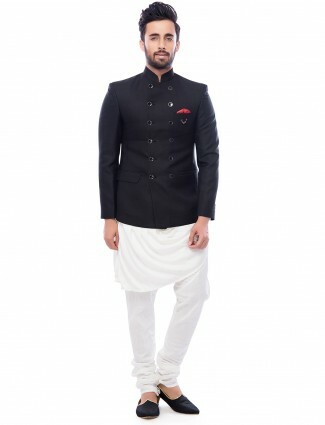 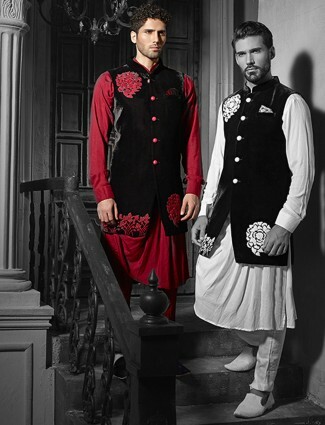 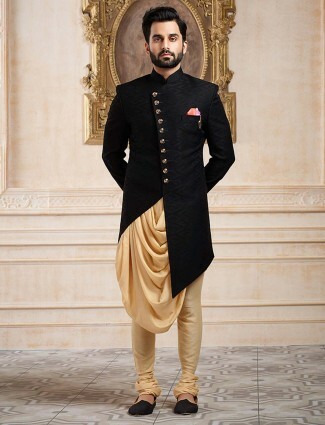 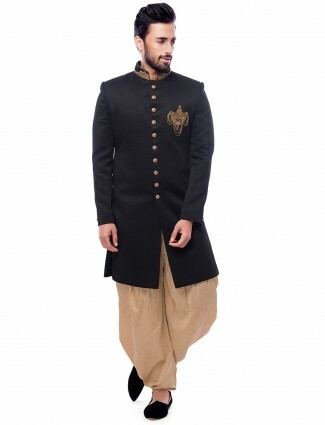 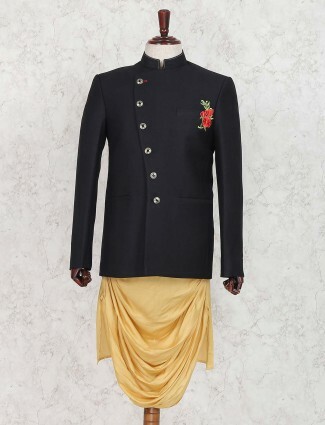 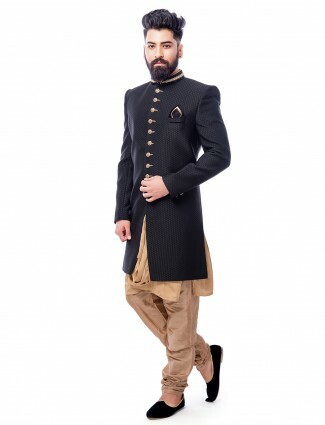 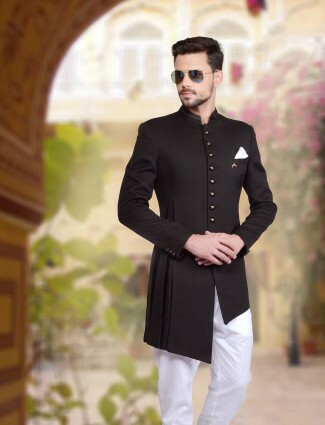 The Black Sherwani Kurta are also found in other combinations of beige, gold blue, maroon, red and more.